For those of you who don’t know, down syndrome is a genetic disorder that occurs when a person has a full or partial extra copy of chromosome 21. Normally, human beings inherit 23 pairs of chromosomes from both parents for a total of 46. However, people with Down syndrome wind up with 47 chromosomes because they get an extra copy of chromosome 21. This happens when the 21st pair of chromosomes from either the egg or sperm fail to separate. People with Down syndrome have an increased risk for certain medical conditions such as congenital heart defects, respiratory and hearing problems, Alzheimer’s disease and thyroid conditions. Many of these conditions are now treatable, so most people with Down syndrome lead healthy lives. Having worked with lots of fabulous humans with down syndrome I can tell you that extra chromosome seems to only enhance what’s already there! 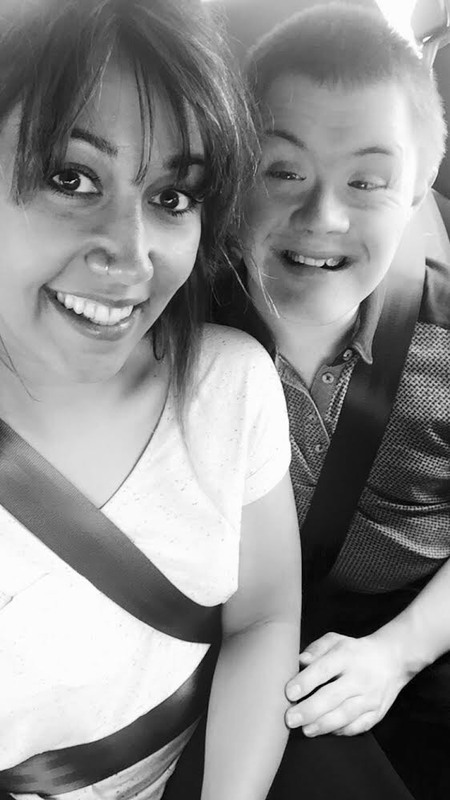 As human beings we are all unique, people with down syndrome are exactly the same, so why would we treat them any different? There are always going to be stigmas and opinions but take it from me… this is a special day that happens once a year but should be celebrated every day!!! One of the funniest people I know. So kind and caring, soft and gentle. Ryan is a talented footballer and swimmer. Not only does Ryan enjoy bowling for fun he is also part of the disability bowling league, what does this guy not do? Ryan comes from an incredible family, a dad who supports him through everything he does – quite the hero really! And a little sister who Ryan always looks out for. Ryan’s sister is autistic, a beautiful young lady who loves to sing and dance and who utterly adores her big brother! A wonderful family that I am lucky enough to now call my friends. I have grown close to this family over the years and feel very lucky to have experienced so many great times with them! FYI - You can find Ryan working away at Beresford street kitchen if you fancy good chat and some great coffee! Are you supporting individuals and organisation’s? if you’re not, you should be. As its world down syndrome day why not scope out some local charities, whether it be £1 or 10 online or in a bucket! DONATE, DONATE, DONATE!! !